It was my best friend who introduced me to air fryers, during a discussion about the latest culinary inventions. I love kitchen gadgets almost as much as I love fried food, and I had to know more. You may have heard of air fryers, or even have one, and have questions like I did. What are the Most Popular Foods to Cook in an AirFryer? What Entrees Can You Make in an Air-Fryer? 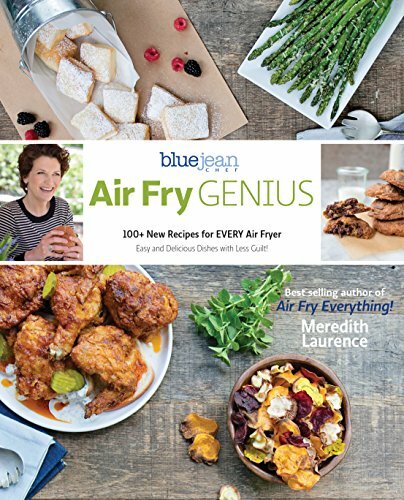 Will an Air Fryer Work with your Favorite Recipes? The perfect simulation of conventional deep fried foods (without sinking them in in unhealthy hot oil or attempting them in an oven) is the key to the Air Fryer’s popularity. Some consumers buy an Air fryer for this purpose alone, and it is also suitable for people that are not cooking enthusiasts, or those with limited kitchen space. Air fryers cook these snacks evenly, and the aroma is heavenly. Instructions for cooking the type of fried foods that come frozen and ready to heat can be found in the manual that comes with your air fryer. For an excellent guide, check out this cooking chart. To convert prepared food instructions on your own, reduce the temperature shown on the package by about 50 degrees and 3-5 minutes. Don’t forget to turn the foods or shake the basket. Air fryers became a runaway hit because they make a less fattening fried foods, including home made ones, with little or no oil and far less mess. All your favorite fried dinners will work in an air fryer. 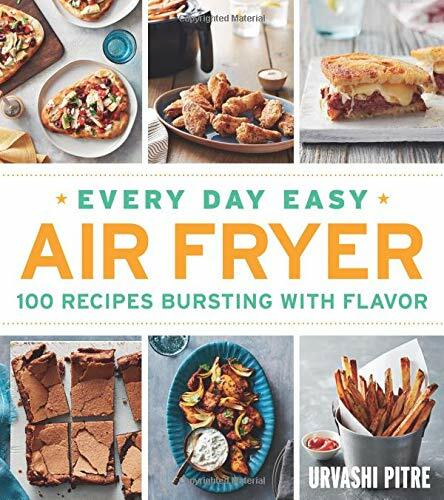 An air fryer can cook virtually any fried, baked, pan fried or sauteed main dish, even pizza, and roast beef. It’s important to note that some recipes do call for a tiny amount of oil to be applied to the ingredients to keep them moist, so not all recipes are free of added fats. The unusual brine (3-4 hours) and crumb coating are well worth trying. A good side dish will make our low-fat meal even healthier. I found these recipes helpful, as Emeril provides exacting instructions for people who are new to air frying, and the You Tube video shows us the process step by step. Both of these recipes call for a small amount of oil, but it’s worth it. Note Emeril’s late stage addition of tarragon. What a nice, professional touch. Air Fryer Spicy Sweet Potato Wedges at www.recipethis.com a healthy weekly staple favorite. Cadry’s Air fryer Baked Potatoes with all the Fixings at www.cadryskitchen.com. Yum! What about having friends over and showing off with some yummy appetizers? Good starters are Air Fry Spicy Garlic Prawn, Vegan Air Fry Buffalo Cauliflower, and Air Fryer Fried Dill Pickles. Links to the recipes are below. 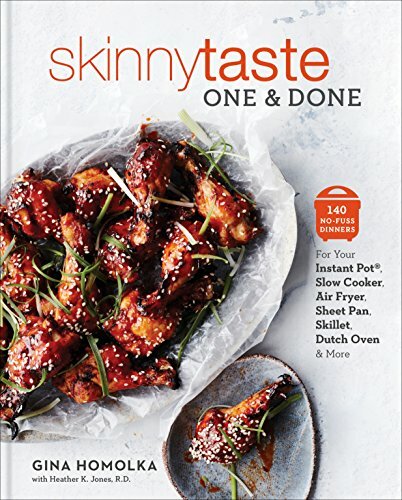 I know that the fashionable vegan ‘buffalo’ cauliflower will be a big success with everyone, as it suits almost any diet, and really tastes like buffalo wings. These air-fried pickles require no oil at all and come out crispy. Air fryers may be the next culinary must have. They are multi-purpose space savers, and the non-stick parts can be washed in the dishwasher. Whether you love freezer-to-fryer chicken tenders or enjoy being creative, an air fryer is a great kitchen tool for beginning cooks and experts alike. Air fryers stimulate fried food without immersion in oil, and also do the same work as a convection oven, circulating heat all around the food. Professional Chefs prefer this type of heating, and an air fryer improves recipes that respond well to even air flow, such as cakes and meat dishes. Take note that it is important to toss, stir, or turn foods. Stir fries are usually tossed in a touch of seasoned oil before cooking, and lean meats such as skinless chicken breast should be brushed with a little fat to prevent dryness. Your cake, muffin, and cookie recipes need no changes, and if your home oven is conventional, the results may be better than before. Air fryer cooking times will be different, so consult similar recipes for instructions. I’ve been thrilled with my air fryer, and you’ll probably feel the same about yours.